The four free games being offered to Xbox players for Games With Gold September 2016 have been revealed, and you can see what they are below along with information on each of the four titles. 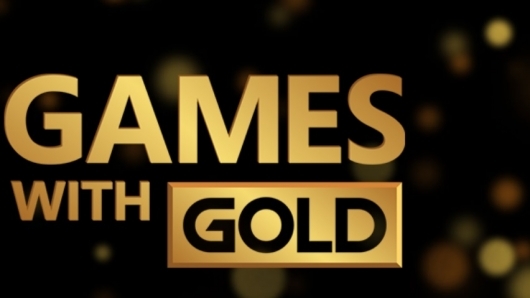 Games with Gold has four new titles for you to add to your game library for September. As with last month, Xbox One will get two dedicated titles, and two Xbox 360 titles, as well, through Xbox One Backward Compatibility, for a total of four completely free titles thanks to Games with Gold. For Xbox One, September brings two exciting titles to Games with Gold with the much-anticipated launch title Earthlock: Festival of Magic and the stylish Assassin’s Creed Chronicles: China. On the Xbox 360 (and Xbox One through Backward Compatibility), Xbox Live Gold members start the month with the critically-acclaimed Forza Horizon, and then follow that with the visually stunning Mirror’s Edge. On September 1, we have a brand-new, very cool ID@Xbox title launching into the program. The world of Umbra has stopped spinning, and as Amon, it’s up to you to save it in the RPG Earthlock: Festival of Magic. Bring Amon and his team through the harsh, beautiful Umbra landscape and fight off monsters of all kinds in this modern turn-based role-playing battle system. Then on September 16, see the Assassin’s Creed world from a new perspective with Assassin’s Creed Chronicles: China. A new take on the stealth action series, the Chronicles games bring new assassins to the fore with a 2.5D stealth platformer that offers the classic feel of the series with a unique twist. Help Shao Jun avenge the loss of her brotherhood and bring down your enemies with power and grace. On Xbox 360 (and Xbox One via backward compatibility), start the month off by jumping behind the wheel in the dynamic, open-road street racer Forza Horizon. Set in Colorado, Forza Horizon is an open-world racing game that will let you rise to the top of driver rankings via official races or earn points for destroying road signs, catching air, or drifting. With over 300 cars to unlock and an open-world full of challenges, this a perfect way to hold you over before the visually jaw-dropping Forza Horizon 3 gets released! Plus, backward compatible racing titles now support Xbox One wheels, including Forza Horizon! Last by not least, on September 16 comes Mirror’s Edge. In an oppressive city, clandestine messages and deliveries make their way around via Runners, jumping, climbing, and dashing across rooftops. Play as Faith in the original first-person free-running action game, fighting and outrunning a powerful regime that is not afraid to use deadly force. Experience the breathtaking sights and sounds and always land on your feet. ‘The Prequels Strike Back’ Trailer: Will New ‘Star Wars’ Doc Change Your Mind On Prequel Trilogy?